Mule. Pack animal. Llama. I’ve been called all of these things. For years, backpacking partners have laughed at my disgustingly heavy pack weights. I supposed I was a bit of a glutton for punishment, but when folks needed something, like an ace wrap, an extra fuel canister or a blueberry cheesecake, boy, were they ever glad I was along! Part of the ability to stupidly carry half my body weight harkens back to my days as a trail guide when rookie backpackers would struggle with their cumbersome load and I would kindly relocate the contents of their pack into mine. Looking back, I resembled a Nepalese Sherpa carrying a large basket to basecamp, bent over by my busting burden, schnoz to the ground, shoulders powering through the pain. Those were the good old knee-destroying days! Thankfully my mule-like tendencies have been replaced by the benefits of modern weight saving gear and clothing. Let’s face it; while I do love a good blueberry cheesecake, carry a heavy pack leaves you feeling more beat up than spooning with an angry porcupine. This past summer, I went on a quest to make my pack as light as possible and researched every piece of gear like a mad scientist. I went a little crazy buying things, weighing them, examining them, testing them, then sending them back if they weren’t up to my standards. By the end of my quest, the contents of my pack only contained well-made quality items, all weighing in at 14 pounds before food and water. Here are a few pieces of gear that made the cut. Scale Weight: 2 lbs, 2 oz. Modifications: I brought only 4 stakes and used my trekking poles, making it a taut pitch with 6 points of contact. I ditched the tents stuff sacks. The above weight includes the footprint (ground cloth) that I purchased separately but also carried. I’m hard on my gear and wanted to be sure I didn’t rip my floor by pitching it on a pine cone or tree root. Pros: First, off, let’s talk about weight! Can you stand it? A free-standing tent with a strong, lightweight single pole design weighing almost 2 pounds is almost unheard of in today’s market. Yet this puppy delivers. In 9 nights of rainy squalls (don’t backpack with me unless you want to get wet since I tend to attract darkening clouds) we stayed completely dry. High winds? Yep, we had those too. It was a miserable hike, but the tent took the punishment like an old pro. Cons: To call this a two person tent is a bit of a stretch. 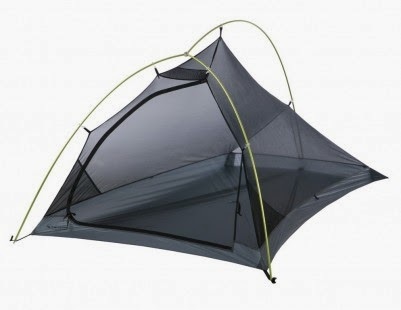 You really have to love your tent mate, snoring, sweaty and all because the size of this little beauty puts you back-to-back and belly-to-belly day after day. It’s a tough to sit up inside as the roof line tends to be a bit short and getting dressed inside is a fiasco, so don’t even think about changing your drawers. Lastly, it has only one door, so if potty time calls, you might have to mambo around your sleeping partner to get the door open and yourself outside. All of that whining said, it’s a tough and well-built tent. It’s durable in bad weather and the compromise of size and details is well worth the weight savings, in my humble mumble. Pros: Are you seeing a pattern here? Weight, weight, weight! 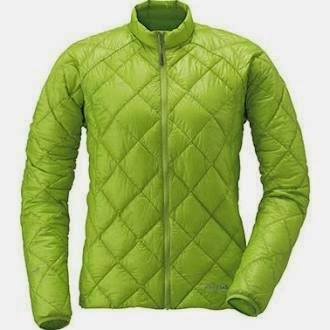 This little waterproof , breathable and durable jacket is less than half the weight of other so-called lightweight jackets on the market. Not only that, but after hiking for 10 consecutive days in rain, it kept me dry and warm. Also, it dries quickly after a good rain, so it’s ready for the next cloudburst! Cons: The sleeve cuffs have elastic only halfway around them. I assume the designers did this to help with breathability and ventilation, but I found that when using trekking poles, water dripped inside on the upswing. 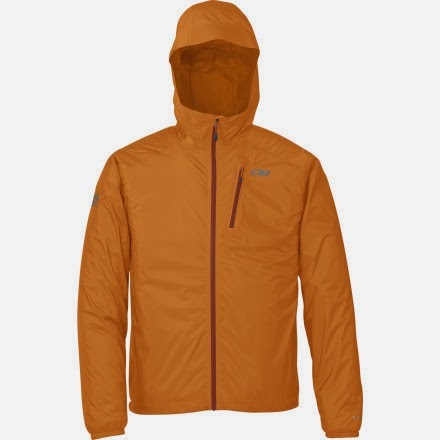 I wore this coat all hiking season long, taking it in and out of backpacks, leaving it compressed at times and letting it take a beating as a sit pad occasionally. Being owned by me is a hard life for any item! Through all of this, it maintained its waterproofing even towards the end of the summer. Pros: I know what you are thinking. Why would you need a pillow? Don’t all fast and light hikers go with a bundle of clothes stuffed into a stuff sac? Sure. The only problem with that plan is that my clothes continue to be lighter and less bulky and, I’ve eliminated most of the stuff sacs I used to carry. Not only that, but because I’ve scaled down the amount of clothes I bring, I’m usually dressed in my extras. Also, I might add, getting a good nights sleep when you’ve logged a very long day, is to me, sweet nectar. 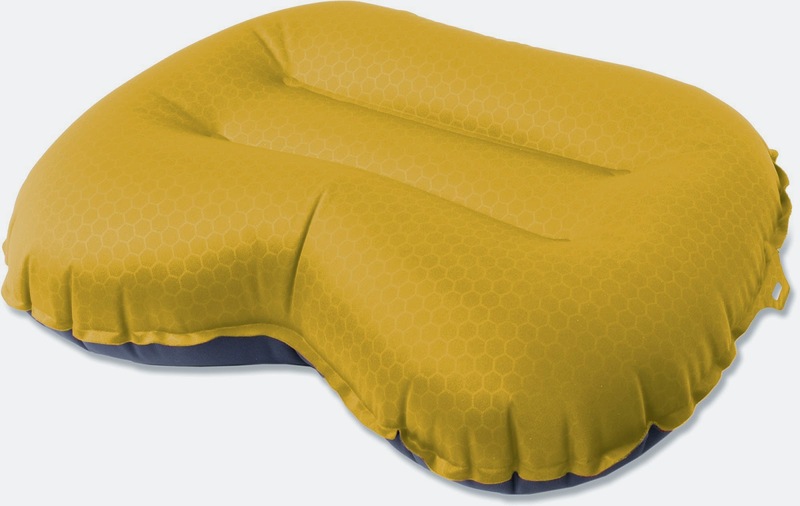 The Exped pillow deflates to a tiny flat size, making it perfect to toss in the bottom of your pack. Additionally, the “medium”, is more than sufficient for an average noggin’ and even fits, albeit tightly, in the mummy head of my sleeping bag. Overall, I have less tossing and turning, a more restful sleep and it weights next to nothing. Cons: You have to inflate it, which isn’t a big deal. Only about three puffs and your done! Pros: The weight-to-warm-and-cozy ratio is out of control. For a girl who is always cold, it was pure bliss having this warmie on during chilly nights and nasty weather. The compressibility was such that it almost disappeared inside my pack when I squished it down, which gave me plenty of room for the other things which were also light and compressible. Did I mention my pack turned out to be too large? (I was using an REI Flash 52) Knock me over with a down feather! Anyway, I digress. This jacket is the perfect companion for travelling too. Think warm, think compressible, think light, think….love! Cons: To be honest, I can’t say I’m crazy about how it looks on me because the neck is short unlike most goose down jackets, and I end up looking a bit like a giraffe. Come to think of it, I did get some whistles from marmots, so I guess, I did rock it pretty well. Goose down fails in wet weather, so it’s a great piece for layering under the Helium Jacket in rain. Lastly, there is no drawstring on the bottom, which works for us hip-py types, but not for those with straw-like figures. It’s nothing that can’t be fixed with a diet of nonstop donuts. 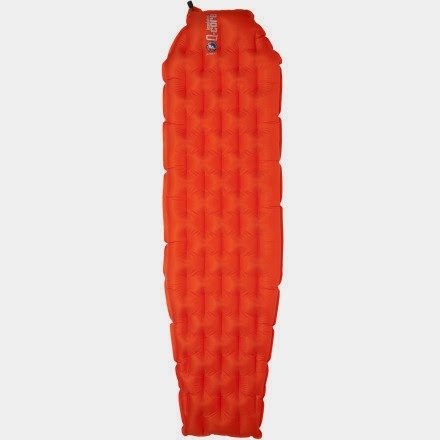 Pros: Big Agnes has always made well-crafted products and the Q-Core SL (assumedly for Super Sight) is no exception. Not only is the R-Value (a fancy term for insulation) a stellar 4.5 (warm- to the layman), but it is shocking comfortable, even on hard surfaces. One rainy miserable night, we snuck under the eves of an off-season ski resort and camped on a deserted concrete patio. The durable inflation valve allows you to huff and puff it full with little air loss. So, think…warm, comfortable, and lightweight. Ideal for weekend and long trips alike! Cons: Blowing anything up at the end of a long day is taxing. However, the idea of inflating your bed in an effort to catch some well-earned zzz’s allows you to puff with a mission! Pros: Yep, I was skeptical at first. 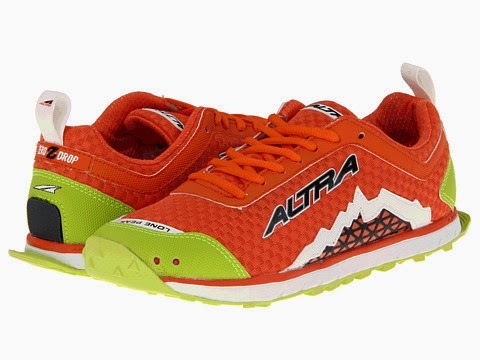 Every manufacturer, it seemed, was coming out with a minimalist running shoe; *sigh* another marketing trend. Then, I tried them. Perhaps no piece of footwear has ever been more life changing to this professional hiker as these simple trail runners. The lightweight, innovative design touts a concept of "zero drop" or lack of elevated heel to ensure a more natural foot strike. Add to that, the Ronald McDonald-style giant toe box and your piggies spread out blissfully, screaming freedom. Designed for trail runners and fast packers, the durable StoneGuard system allows the shoes gently ride over pointy rocks and uneven surfaces eliminating foot paint. The trail mileage that these shoes allow is night and day over other shoes/boots; my feet simply take forever to fatigue! They have reduced not only my foot fatigue, but ankle tweaks, forefoot pain, and grouchy knees. I could shout it from the mountain tops; I'm a believer and I don’t know what I would do without them! Cons: They look a touch like clown shoes and inspire you to hide your feet when you wear them out in public. I’m a recovering plantar fasciitis patient from years back and I found that the flat insert inside them is just a bit too flat for me. That said, I shopped high and low looking for the perfect “bump” that would give me a touch of arch support without compromising the zero drop. Substituting the manufacturers inserts with SofSole’s Arch inserts solved the issue! As with all new footwear, they take some getting used to, so train in them before you take them on an epic journey. If you’re planning on wearing low shoes, such as these, you should be certain you are carrying a light load. I also highly recommend using trekking poles. Because your feet spread out so much, order them 1/2 size larger than normal. Lastly, they are not waterproof. Instead, the mesh lets them breath like a snorting elk, preventing blisters and encouraging ventilation in hot summer months. In wet weather, I use a pair of GoreTex socks,which completely keep my feet dry; problem solved. Now grab your unicycle, the big-top awaits.